We are ADAMANI Travel and we look forward to the opportunity to act as your booking agent for your travel needs. These terms and conditions (“Agreement”) describe what you’re legally entitled to expect from us when you purchase travel related services with us as well as your obligations as a customer. “We”, “Us’, “Our” will refer to ADAMANI Travel. The term “You”, “User” will refer to the customer visiting, using our website or our services as per the website. “Agent” will refer to the Agent appointed by ADAMANI. 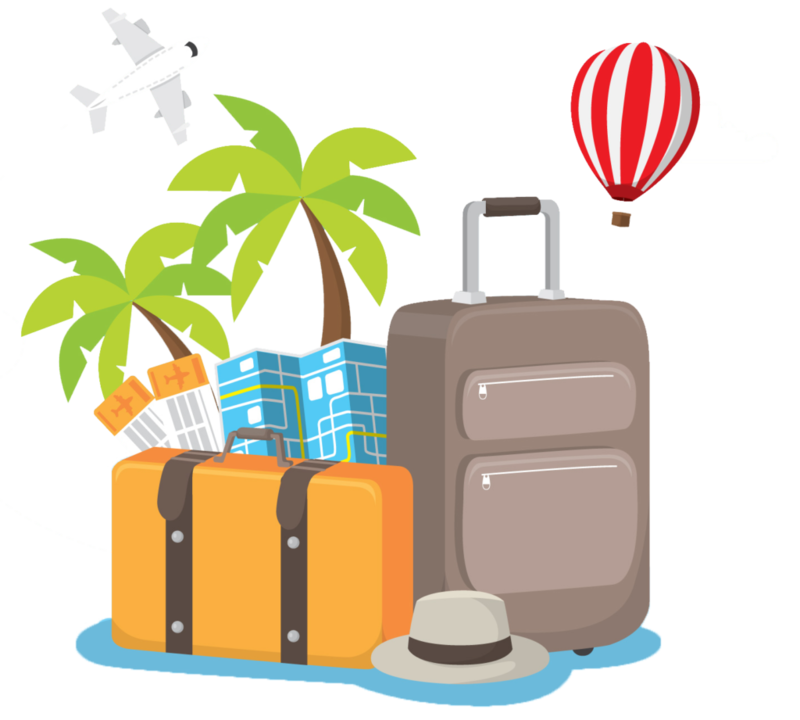 ADAMANI is acting as an intermediary or a “Booking Agent” for travel services that are not directly supplied by us (e.g., air carriage and ground transportation, hotel accommodations, meals, tours, etc). We are not a co-vendor of such products and services. You will be entering into a separate contract with such suppliers in connection with such travel services. We provide a variety of travel related products from different vendors and third parties (“Suppliers”). Each Supplier has its own terms and conditions that will be applicable depending on your particular travel arrangements. In addition to our general terms and conditions, we must highlight that as our suppliers have their own terms and conditions, you should make sure to understand them. All bookings and travel arrangements can be made via our website. Our website is owned and licensed by us and, which is referred throughout this agreement, can be found at ADAMANItravel.com. All airline tickets are subject to supplemental price increase that may be imposed after the date of booking. Post purchase price increases may be applied due to additional costs imposed by a supplier or government. You may be charged additional sums by ADAMANI to offset increased fees, fuel surcharges, taxes, and fluctuations in foreign exchange markets or any combination thereof. Acceptance of these terms and conditions hereby consent you to any post-purchase price increases and authorizes ADAMANI Travel to charge the additional amount (where applicable) to your booking. Payment of deposit enables us to hold a reservation for you but does not guarantee the price. The price can only be guaranteed once full payment is made to us and other travel documents have been issues, subject to any terms and conditions of the Supplier. We will advise you of the date that full payment is required. Upon you provision of your payment information, you are authorizing us to make the payment arrangements with the corresponding suppliers. We reserve the right to refuse personal cheques as a method of payment. After full payment, the conditions of the contract with your Supplier may permit them to increase the cost of your arrangements. We will pass on any such increase to you as we become aware of such increase. If we have arranged a package, changes in transportation costs including the cost of fuel, taxes, fees and exchange rates mean that the price of your travel arrangements may change after you have paid in full. Your contract with your suppliers may allow them to cancel or amend bookings. We will ensure that you are promptly notified of any significant changes once we become aware of such change if there is time before your departure, but we accept no liability for any changes or costs incurred that may result. Subject to the supplier’s terms and conditions, you will then have the choice of accepting the change of arrangements, accepting an offer of alternative travel arrangements if one is made available by the Supplier, or cancelling your booked arrangements and receiving any applicable refunds. We do not guaranty that any refunds will apply. If you have booked a package including flight arrangements and we are alerted to a significant schedule change by your airline before you leave, we will contact you to advise you of this. Please ensure that you have not given your contact email address to us and that you regularly check for messages before you leave. We have no control over airline schedule changes and accept no liability for costs which may arise as a result of such changes. By booking your arrangement with us or using our website, you are agreeing to be bound by the terms of this Agreement, and any additional terms and conditions of any Supplier that are applicable to your booking, travel arrangements or use of any website content. You agree on behalf of yourself and those you represent to comply with all such terms and conditions, including the payment of all amounts when due. You agree that any violation any such terms and conditions may result in (a) the cancellation of your reservation or purchase, (b) your forfeiture of any monies paid for your reservation or purchase, (c) you being denied access to applicable travel services, and (d) our right to debit your account for any costs we incur as a result of such violation. Where a change is requested by you to your travel arrangements and is permitted and possible, our standard service fees will apply in addition to any additional Supplier changes. Please contact our booking team to enquire about changes for details on how to request changes. Please note that all reservation changes are subject to availability and the terms and conditions of the travel service. Flights must be taken in the sequence they appear on your ticket or e-ticket confirmation. If you plan to take a flight as booked, please contact the airline as far in advance as possible to discuss your options. If you do not check in on time for a confirmed reservation, the airline may register you as a ‘no-show’ which could result in extra charges and/or your whole flight itinerary being cancelled and/or render your ticket void. If you cancel your arrangements, you may be entitled to a partial refund. In addition to the cancellation terms and conditions of your Supplier(s), our standard fees will apply as may be outlined on your receipt or booking confirmation. We need to receive from you your original reservation confirmation and proof of transaction before any applicable refund can be considered. If you decide to cancel arrangements before the balance due date, any deposits paid are non-refundable. Refunds will only be paid to you once we have received the funds back from the Supplier. Generally, flight tickets cannot be refunded if they are partially used. We are not responsible for a Supplier’s failure to pay a refund. If you encounter any problems during your journey, please inform our office immediately. If you fail to timely contact us, we will not be permitted the opportunity to investigate your complaint and attempt to rectify any error while you are away, and this may affect your rights under this Agreement. It is your responsibility to ensure that all of the details on your travel documents are correct and to bring to our attention any errors or discrepancies immediately. Your travel documents are valuable and should be safeguarded as if they were case. It is not always possible to replace travel documents in the case of loss, theft, damage etc. Prior to booking international travel, we recommend that you review any Malaysian prohibitions, warnings and advisories applicable to your destinations. By offering travel to particular destinations, we do not represent that travel in such destination is safe or without risk. You further agree that in connection with your activities, you will not permit the use of our services or website by anyone that resides or is staying in a country for which such use is prohibited under Malaysian regulations. It your responsibility to fulfill the passport, visa, and other immigration requirements applicable to your itinerary. You should confirm these with the relevant embassies and/or consulates. We do not accept any responsibility in the case of you being unable to travel due to not complying with any such requirements. You are also required to carry all forms of relevant individual identification to verify your identity. Travel insurance is a vital part of your arrangements. We strongly recommend that you have taken out adequate insurance for the duration of your journey. Travel insurance is a mandatory element of some travel arrangements. We will be able to arrange for travel insurance however, this will only be for coverage with the Airline. Without our prior written permission, you may not (a) access, monitor or copy any content or information on our website using any “robot”, “spider”, or other automated or manual device or program, (b) deep link to any portion of our website, or (c) “frame” or incorporate any portion of our website into any other website. You should take precautions to ensure that whatever links you access are free of viruses, worms, Trojan horses, or other destructive mechanisms. You agree to indemnify us and our affiliates, and any of our Suppliers, and any such parties’, officers, directors, employees, and agents from and against any claims, causes of action, demands, losses, damages or other costs (including reasonable legal and accounting fees) brought to you or third parties as a result of (a) your breach of this Agreement, (b) your violation of any law or rights of any third party, or (c) your use of our website. All agents will act as independent contractors and no joint venture, partnership, or employment relationship exists between you and us or our Suppliers as result of this Agreement or your use of our website. For further clarification, “Us”, “We” and “Our” shall refer to ADAMANI travel and it’s affiliates. All information on this website may include inaccuracies or errors and we do not guarantee the accuracy of, and disclaim all liability for any errors or other inaccuracies relating such information that appears on our website. We reserve the right to correct any information and make changes to them from time to time. We will not be liable for the acts, errors, omissions, representations, warranties, breaches or negligence of any such Suppliers or for any personal injuries, death, property damage, or other damages or expenses resulting therefrom. We have no liability and will not make any refunds in the event of any delay, cancellation, overbooking, strike, force majeure, or other causes beyond our control and we have no responsibility for any additional expense, omissions, delays, re-routing or acts of any government or authority. In no event shall we be held liable for any direct, indirect, punitive, incidental, special or consequential damages arising out of, or in any way connected with, your use of this website or our services. If we are found to be liable for any loss, damage despite the above limitation then our liability in no event will exceed (a) the service fee you have paid to us with regards to your travel arrangements, (b) RM250.00. In the event of a dispute, all parties agree that arbitration and mediation will be the sole recourse and that they may not file a lawsuit against ADAMANI Travel.